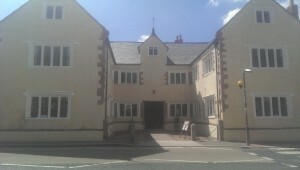 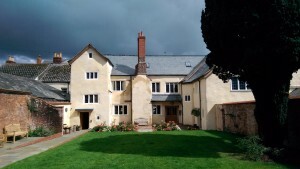 We were contacted just after Christmas to undertake works on a building restoration project in Chepstow. 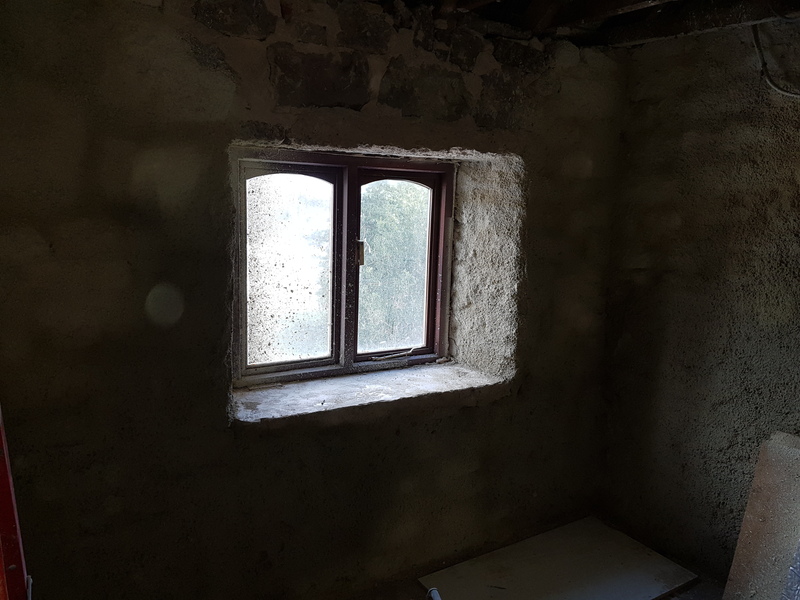 In close connection with Parker SW Ltd, we have done remedial stone work to the cottage walls. 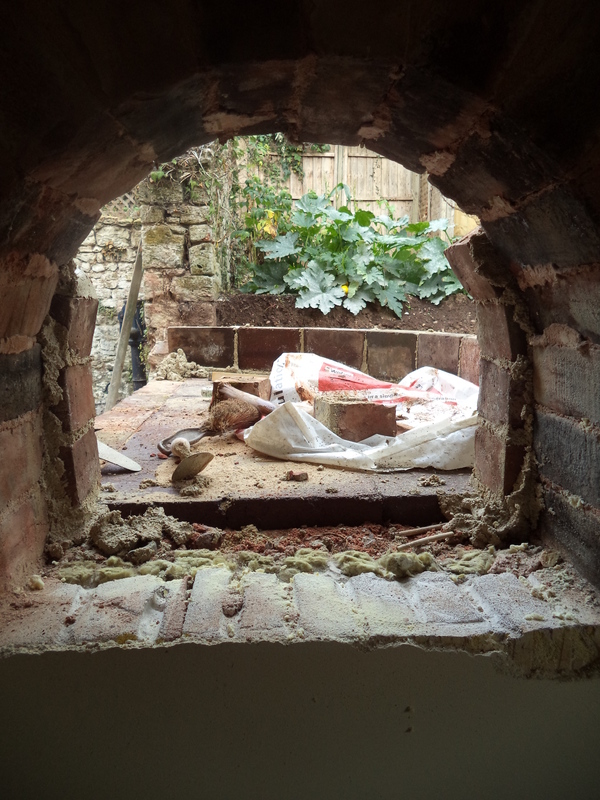 This included patching a number of small holes. 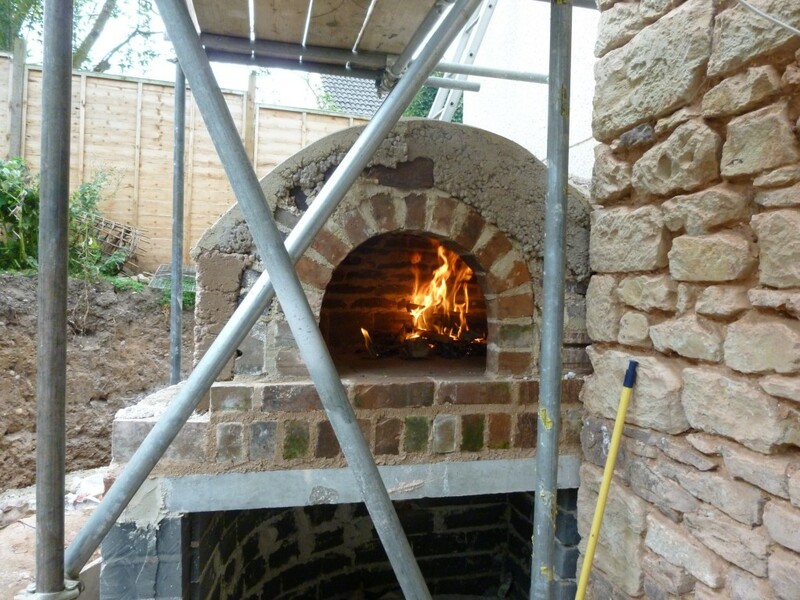 There was not a huge amount of remedial work required, so we were quickly onto lime rendering the internal walls. 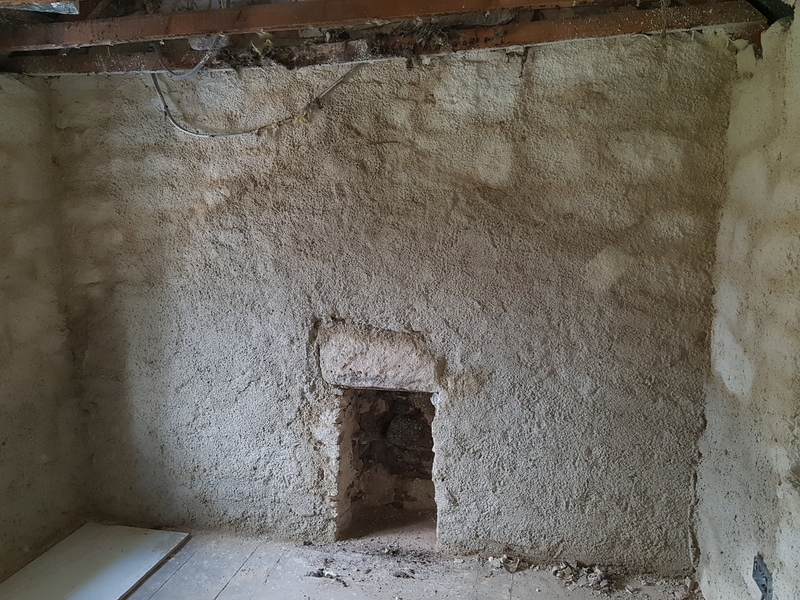 The first photograph shows the cottage wall with the flattening coat. 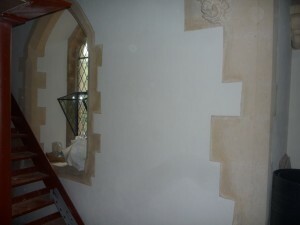 The second photograph shows the window surround covered with flattening coat. 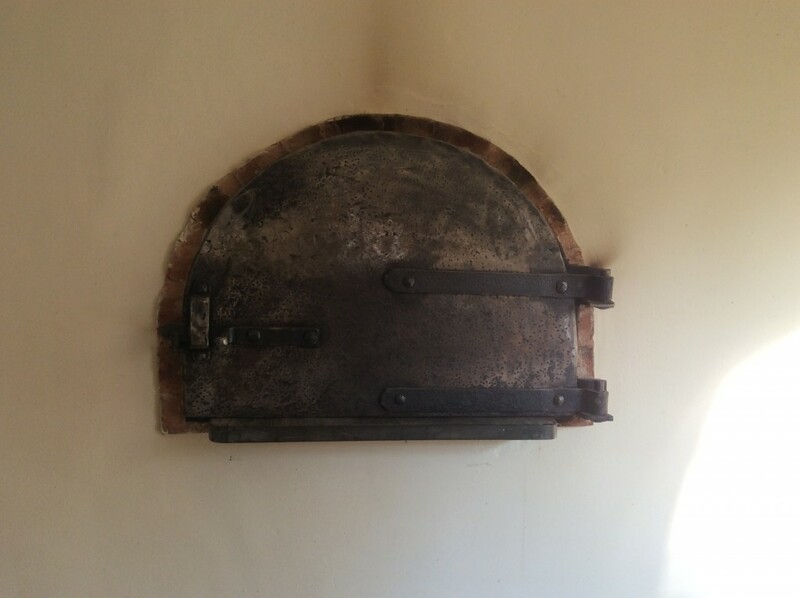 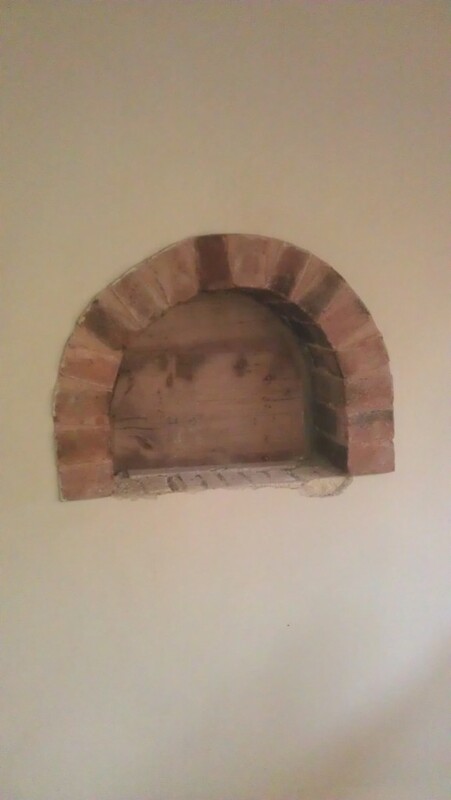 The customer wanted to preserve the fireplace detail, which you can see in later photographs. 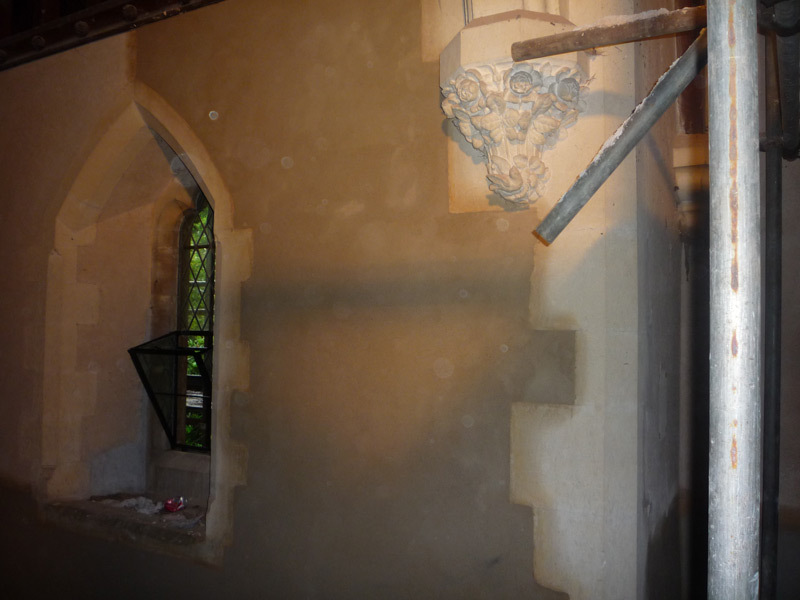 We re-rendered using a three coat build up of lime mortar, which allows the building to breathe. 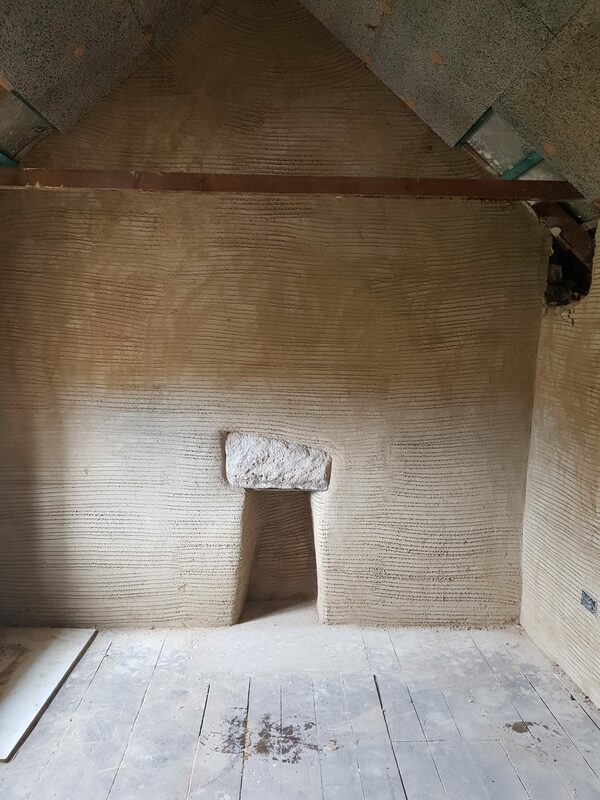 The photograph below shows the scratch coat of lime render on the internal walls of the sitting room. 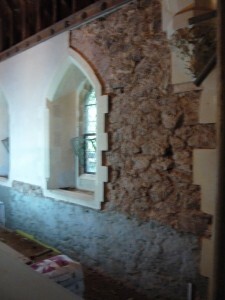 The stone lintel has been cleaned up and remains uncovered. The drying process will take about 8 weeks in total, these walls are nearly ready for the final coat. 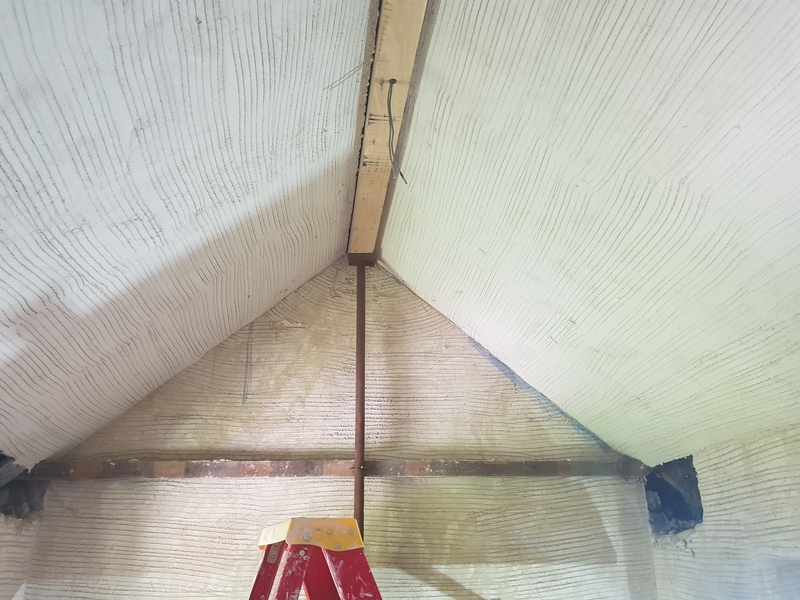 The photograph below shows the ceiling rendered with a scratch coat. 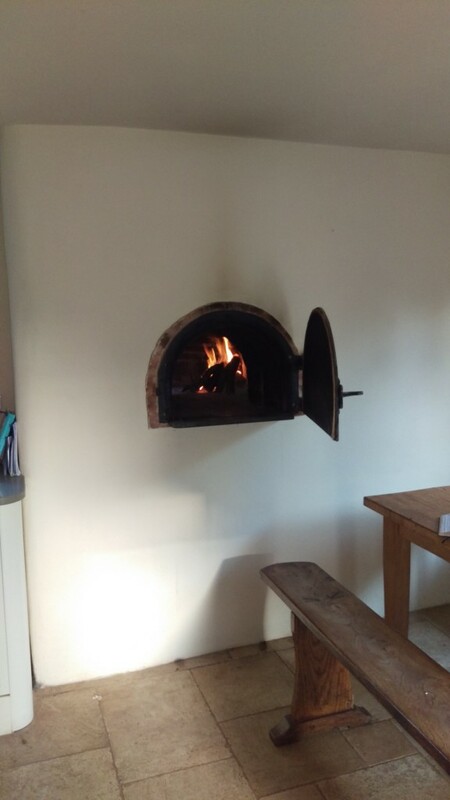 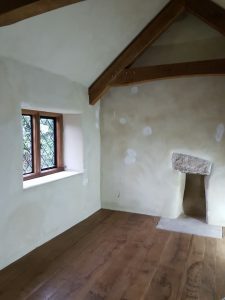 Earthouse were also asked by the customer to install an oak timber floor. 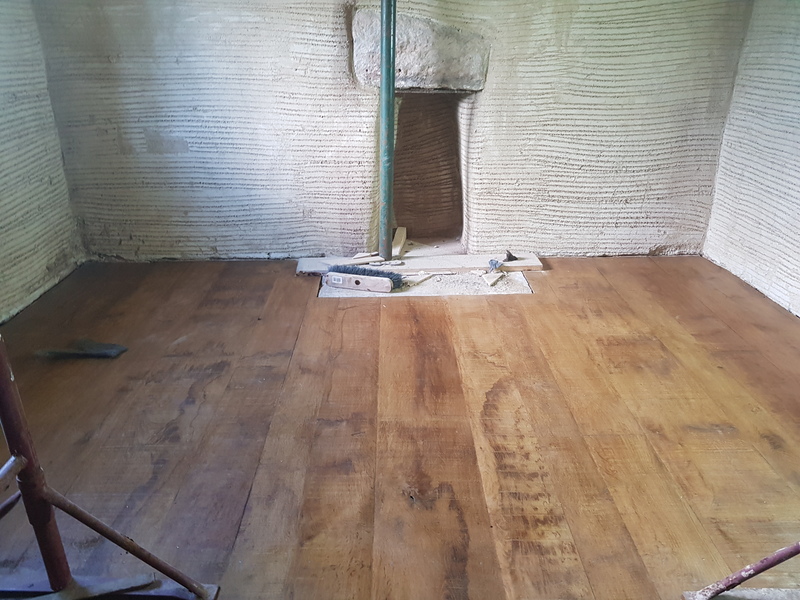 Once the floorboards were laid, the oak was treated with lime, which gives it a weathered look. The oak is then polished to finish it and protect the wood. 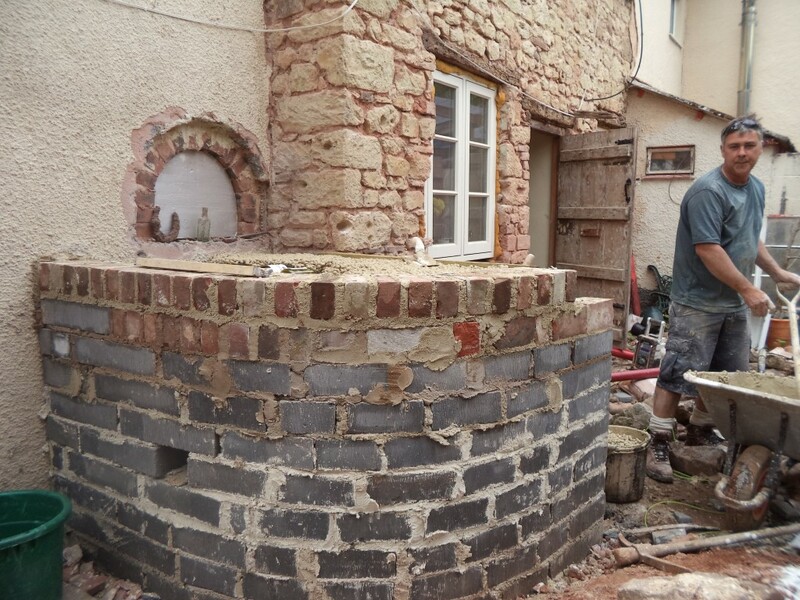 We visited the property on a number of occasions to build up the layers of lime render. 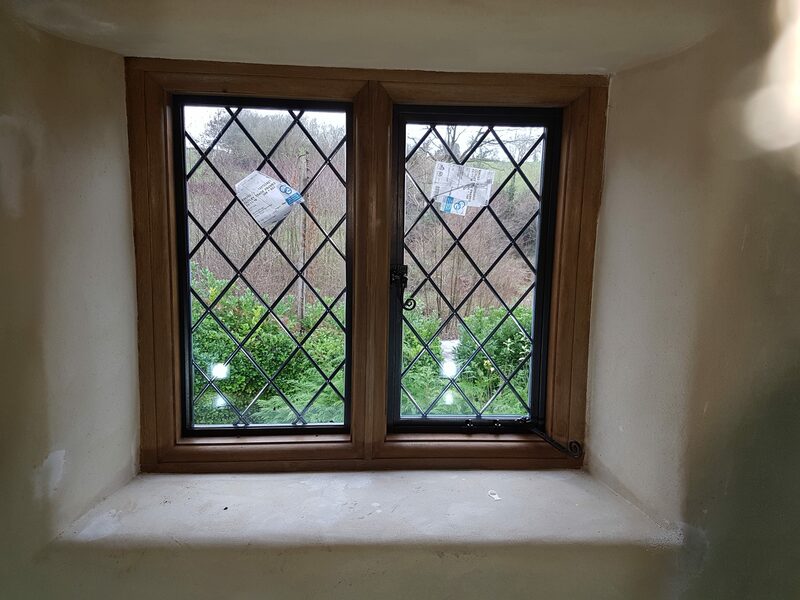 Our most recent visit was to finish up and complete any snagging. 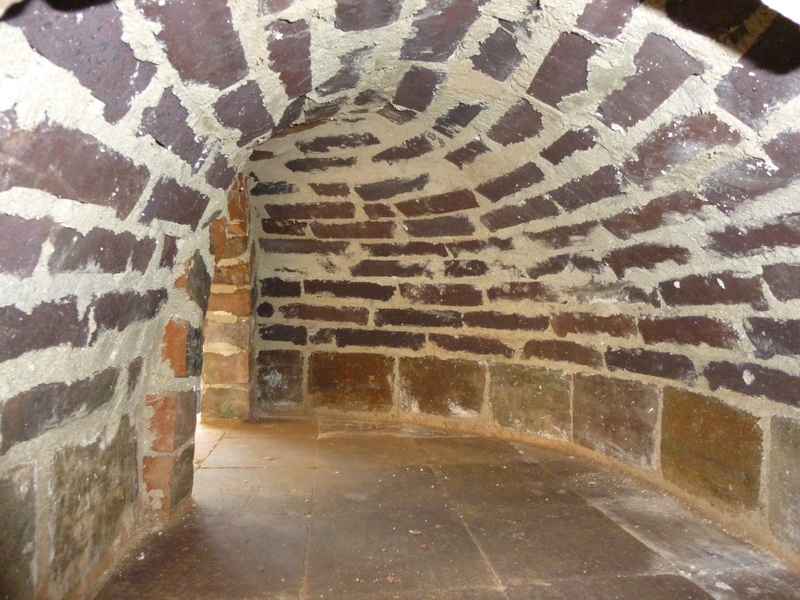 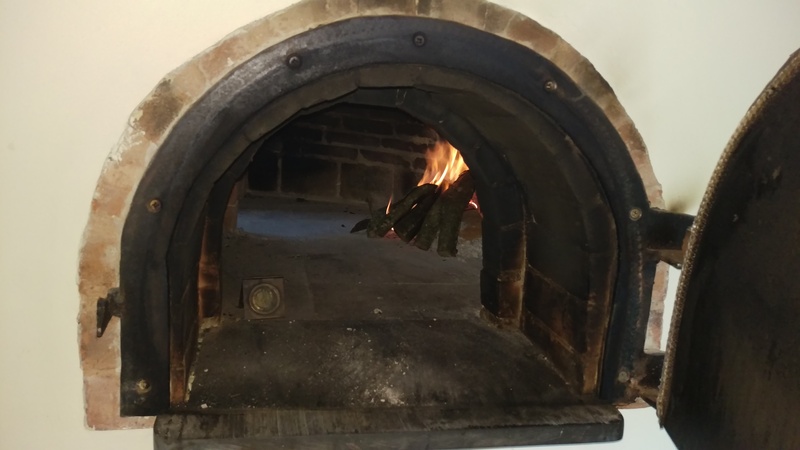 This includes filling any small cracks which naturally appear as part of the drying process, as shown in the photo below. The customer chose to replace the old windows and chose a wooden frame in keeping with the building. 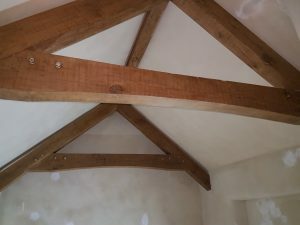 The trusses were also replaced using oak. 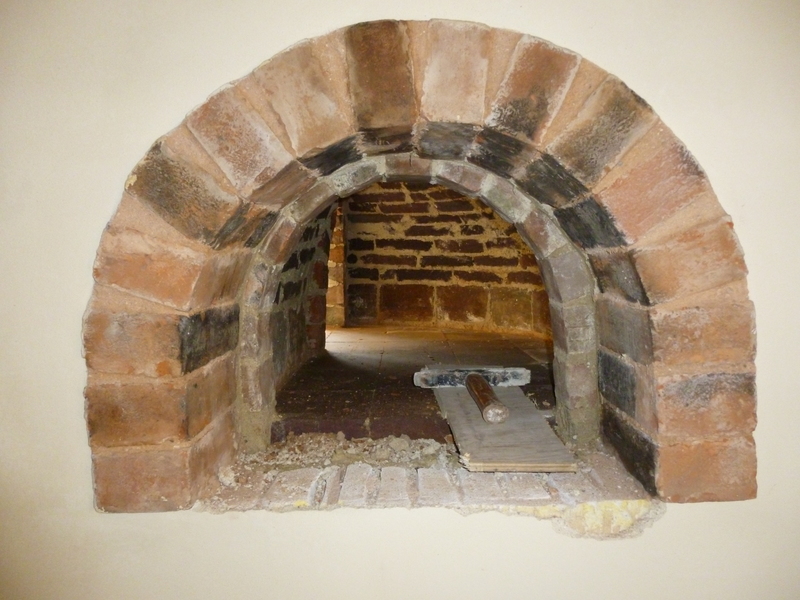 If you think your house may need similar work, please contact Earthouse Building Conservation Ltd.